Spend a week at Killbear PP (first time, finally!) and made a trip into Parry Sound to visit some friends and explore a bit more. 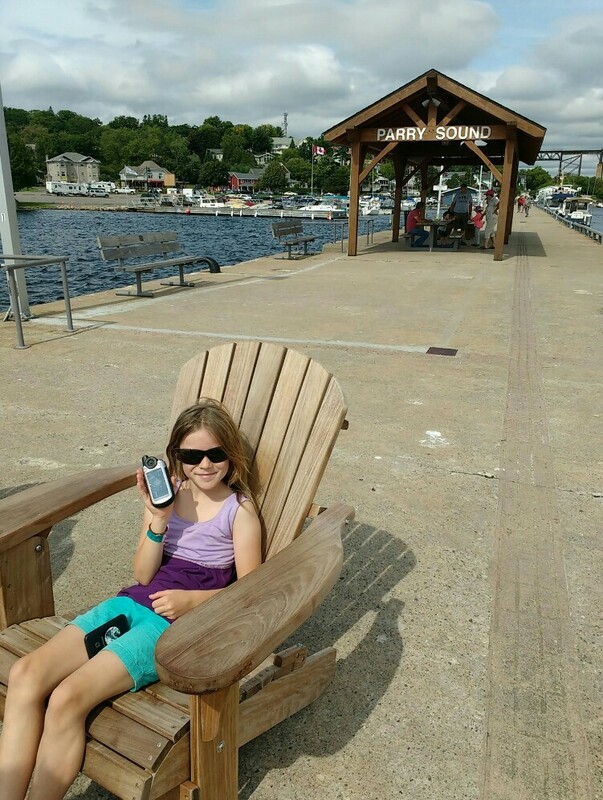 We took a walk out along the Town Dock, found 3 benchmarks, and enjoyed the views, then bought some ice cream at the cruise boat office. Unfortunately we didn't get to see the cruise boat (although we did spot it a number of time from Killbear) nor did we see any floatplanes, but it was a nice visit all the same. Thanks for setting up the virtual.